So I managed to ride once on my bike with the dropper post. Below some initial impressions, which I plan to submit as a review to the Bike-components.de shop. If your bike’s frame does not have a stealth routing option for the seatpost, the Magura Vyron Elect is a great alternative. Instead of hacking one more cable to the top tube, simply avoid the cabling and go wireless. What I liked. Once inflated, charged and installed, the seatpost operation is good. There is a certain 0,5 second delay from pressing the button on the remote till the post reacts. The remote control can be installed everywhere on the handlebar, or even kept in a pocket (though I cannot imagine anyone who wished to keep it there during a ride). 150 mm length of travel is a lot; extreme saddle positions are outside of a usable range for me. Two bolt saddle clamp is always a welcome option. And ultimately, the price is very competitive. What I disliked. 1) The seatpost comes only in two diameters and just one length — 446 mm, which is a lot. Before installing, I was afraid that the seatpost would hit a bottle mount boss protruding inside the seat tube, and I would not be able to shove it deep enough. I was lucky and everything fit well, but my frame size is L, and I am not sure such a long seatpost will be fine with sizes XS and S. 2) The remote control looks and feels flimsy. Looks like a piece of plastic to break at the first crash or even during a bike’s turn over for in-field service, when one forgets to remove things from the cockpit. The remote is far from being ergonomic too. There are three buttons, only the central one can be used to operate the seatpost, and event that button is hard to find without looking at the remote control. I wish it was shaped more like a lever instead of a button, or even simply a bigger button. Lastly, the rubber O-ring that keeps the remote attached to the handlebar does not look reliable either. I wonder what will happen to it at -20°C. Other impressions. 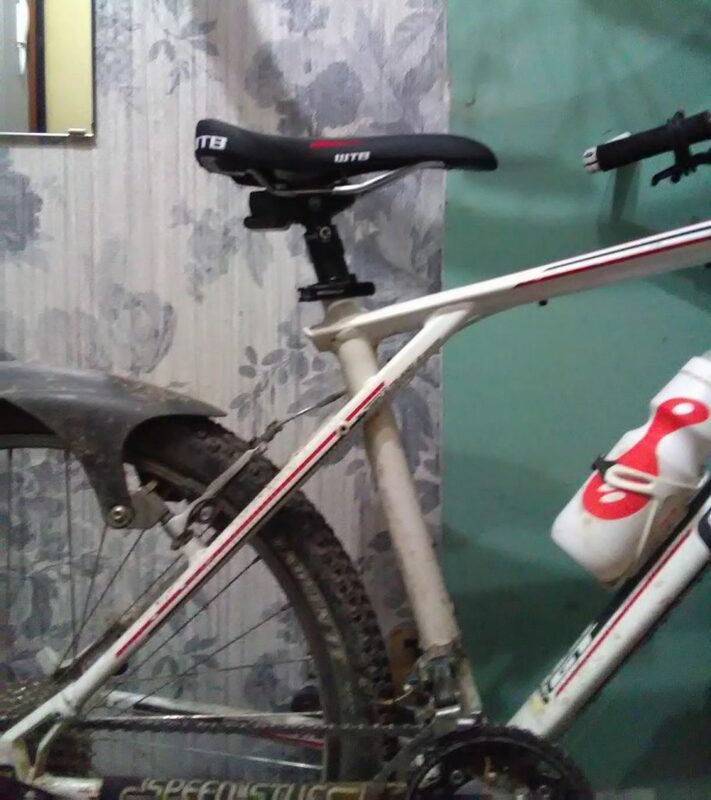 The seatpost has minor play which does not affect riding, but after being used to plain old fixed seatposts that was a surprise. Two saddle bolts use T25 instead of hex heads, which requires having a separate key with oneself to adjust the saddle. Of course, they could be swapped out for regular hex bolts. Finally, the electronics compartment at the top of the seatpost occupies a place where an underseat bag is usually located. I will have to resort to other means of keeping my keys, phone and repair kit with me on my rides. Bottom line. I recommend this seatpost to anyone with a non-stealth seatpost frame of sizes at least M and larger. A very careful consideration of compatibility of the post (diameters, length) with the seat tube has to be made though. I also suggest reading the installation manual carefully and completely.